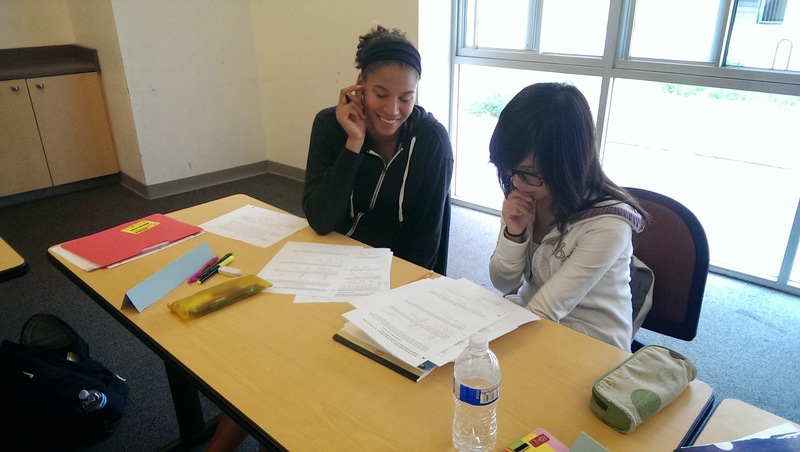 In an effort to leverage undergraduate mathematics know-how to local schools, UC San Diego’s Eleanor Roosevelt College and Math for America San Diego created a successful new student outreach program this year to support local high school students who struggle with math. 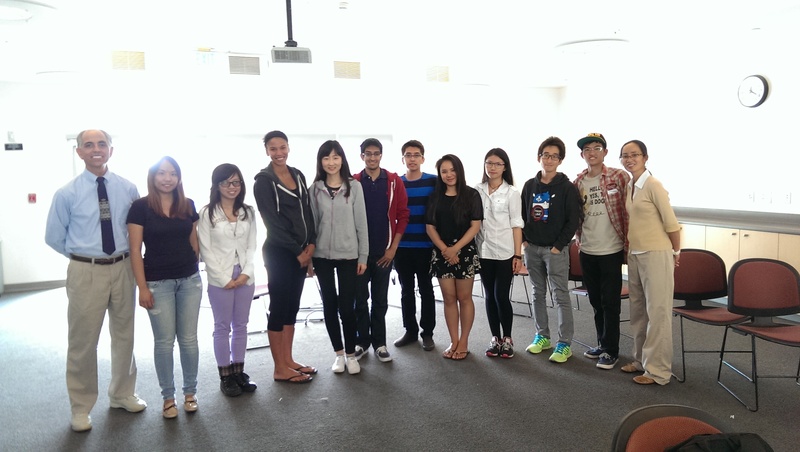 Supported by the CREATE STEM Success Initiative, the ERC/CREATE Math Tutor Corps, launched in fall 2013, is a partnership between Eleanor Roosevelt College and Math for America San Diego (MfA SD), a national and regional mathematics fellowship program housed at CREATE. The quarterly student service opportunity equips UC San Diego undergraduates with the knowledge and skills necessary for tutoring high school mathematics and provides real-world tutoring experience at San Diego’s Lincoln High School, a UC San Diego partnership school and recipient of the Chancellor’s Associates Scholarships. The ERC/CREATE Math Tutor Corps is a two-unit course offered each quarter where students meet every other week and work a minimum of four hours a week tutoring students in algebra and intermediate algebra at Lincoln High School. Highly trained MfA SD Master Teaching Fellows, part of the Math for America San Diego Fellowship program, serve as course instructors. This spring, MfA SD Master Teaching Fellows Gregory Guayante, mathematics teacher from El Camino High School in Oceanside, and Genevieve Esmende, mathematics teacher from Wangenheim Middle School in San Diego, are “tutoring the tutors” on how best to work with high school students in underserved communities. 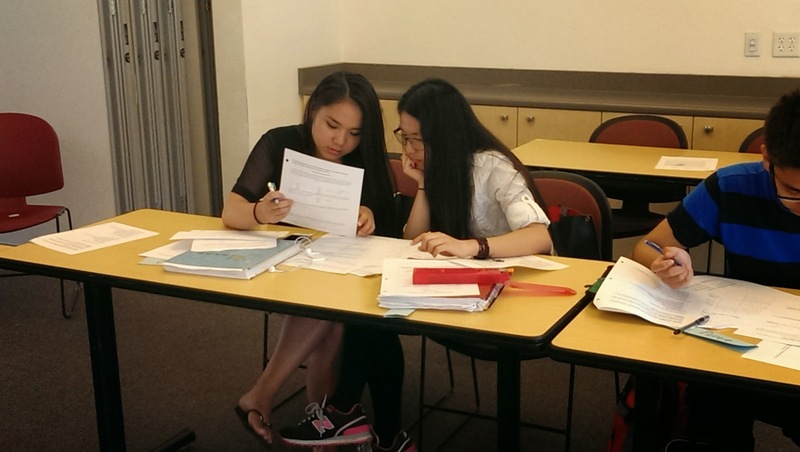 Under the direction of the MfA SD Master Teaching Fellows, the ERC/CREATE Math Tutor Corps approach helps undergraduates deepen their own understanding of high school mathematics content as well as develop expertise in recognizing, discussing, and resolving high school math misunderstandings. ERC/CREATE Math Tutor Corps students learn questioning techniques that help identify high school student errors in understanding, how to analyze the student’s thinking behind the misunderstanding, and how to create a strategy to help the student redirect their own thinking. According to Jacqueline Guan, program coordinator in ERC’s Provost Office, program leadership addressed initial enrollment obstacles head-on. Through collaboration with UC San Diego’s Center for Student Involvement, a shuttle system for fall 2014 newly funded by both the UC San Diego’s Chancellor’s Office and the Weil Family Foundation will be available to transport students from multiple campus programs to UC San Diego partnership schools and Education Corps/PAL sites, alleviating the transportation hurdle for students.